As far as skincare goes, serums are one of my favourites. 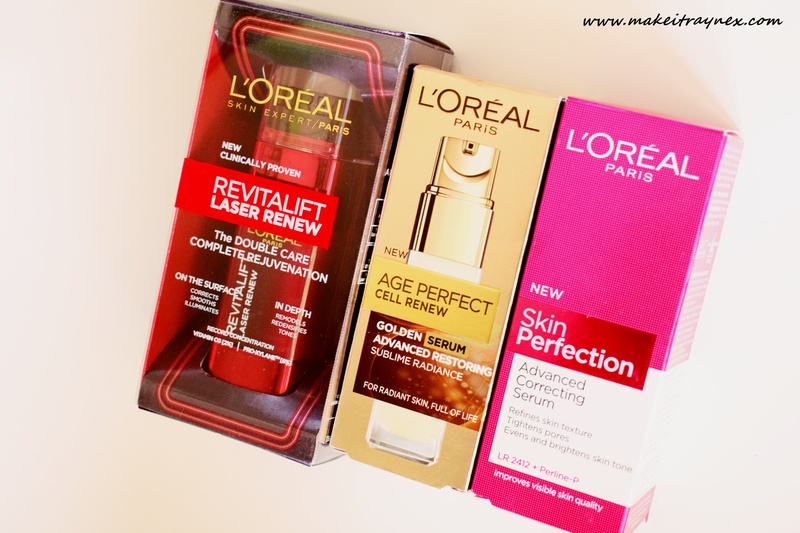 So I set myself the task of testing three different age specific serums from L’Oréal. And of course, being 23, I could not review all three. 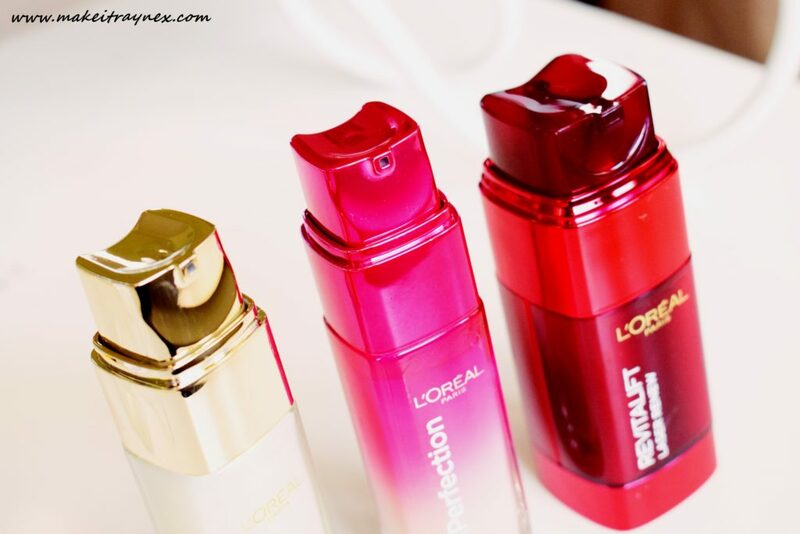 I myself tested the Skin Perfection Advanced Correcting Serum. Being 43, my mom tested the Revitalift Laser Renew (not exactly a serum). And a colleague of mine, being 65, tested the Age Perfect Cell Renew Golden Serum. In my opinion, all three of the serums pretty much do the same thing for different ages. I have used a lot of serums in my time and the L’Oreal serum is one of the goodies. Not my ride-or-die first choice, but not one that I would not repurchase either. And finally, I definitely see the added glow of health when this is used religiously. What I appreciate the most is that this can be used morning and night. I way prefer this than to when you need TWO products from the same range. 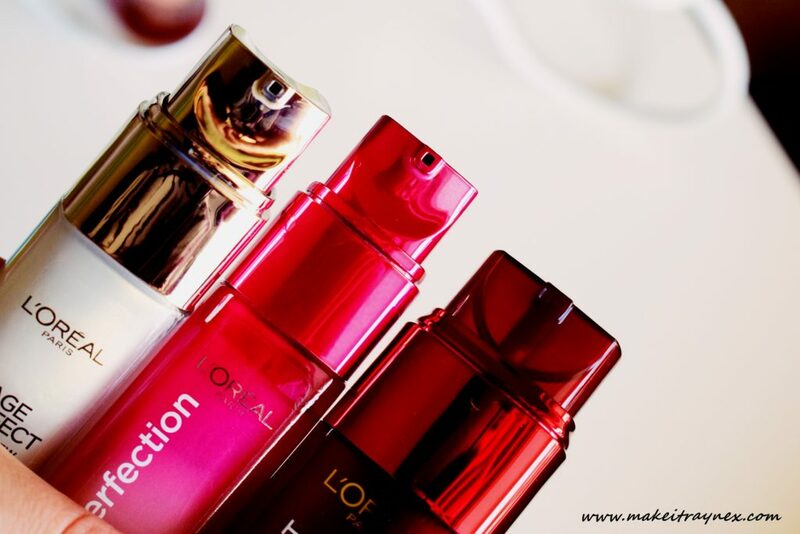 When used in conjunction with the Skin Perfection eye cream, you see the biggest difference of all. Your over all skin texture is smoother and your eye puffiness is largely decreased. 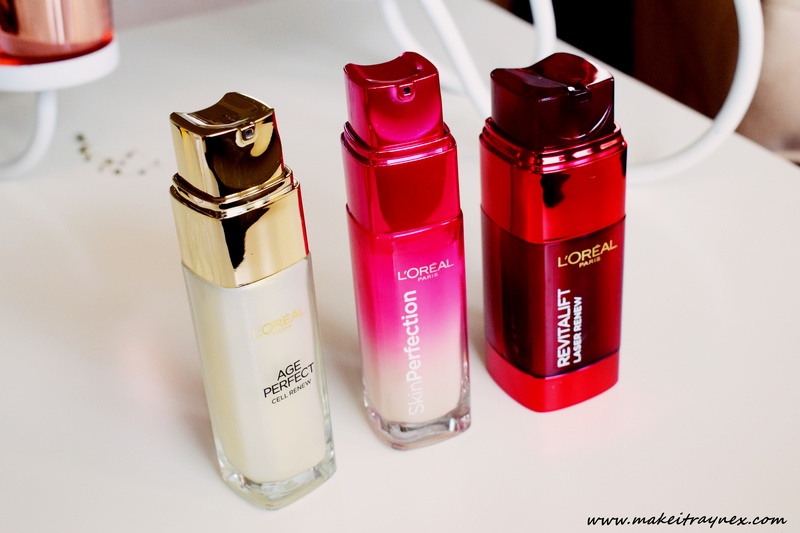 So, if you are like me in terms of skin (and eye puffiness!) then this combo is a definite winner. I’ve never seen these serums or heard of them. Packaging is nice though!